Shalaka offers a wide range of hardware & software solutions for the automotive telematics, including car’s remote diagnostics and monitoring tools, and automated emergency call and roadside assistance (eCall, ERA GLONASS), telematics units (TUs), engine control units (ECUs), fleet management, Internet of Things (IoT), and more. We help process the sensor data and perform data analytics, business intelligence and data visualisation. Our engineering team is working along side many experts to develop design telematic systems to be launched globally. The OBD (On-Board Diagnostic) connector is a hard-wired communication link to the ECU (Electronic Control Unit) for connected car industry only, through which is allowed access to read and reset a vehicle’s fault codes. In today’s vehicles, there are more various on-board computer modules, dedicated to different tasks throughout the vehicle. Also, the access to that different diagnostic information of the modules is via the diagnostic connector. In most vehicles, there is only one OBD-II connector in the vehicle through which all systems can be diagnosed and programmed. We provide services in Telematics alongside automotive electronics. DPF regen due in X miles, etc. DTCs, battery voltage, seat belts use, etc. Since the introduction of the OBD-II standard, the connector, and the pin-out arrangement are now the identical in all vehicles. 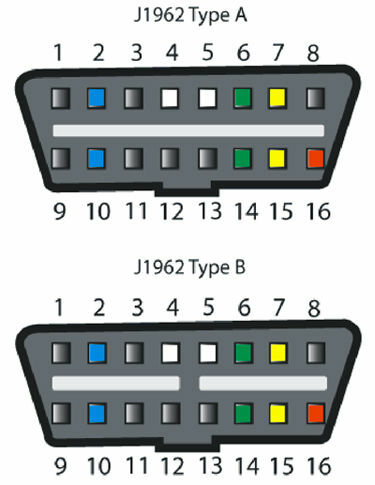 Figure 1 shows the standard female 16 pin (2 rows of 8 pins) J1962 interface connector, and assignment. Some pins are standard and required by all manufacturers while others (Manufacturer Specific) are left to the individual discretion of manufacturers. The communication bus lines are used for data transmission, ISO lines provide data transfer for many vehicles, and the manufacturer specific terminals can be used for any purpose the manufacturer chooses. Typically OBD-II connector is located on the driver’s side of the passenger compartment, close to the steering wheel or gear-stick center console for easy access by the diagnostic technicians from both, the passenger’s side, as well from outside the vehicle. Unlike OBD-II connector where it’s standardized to be within 0.6 m (24 inch) of the steering wheel area or within reach of the driver, an OBD-I connector may be located in other areas, such as under the hood in engine compartment nearby the brake booster for example. 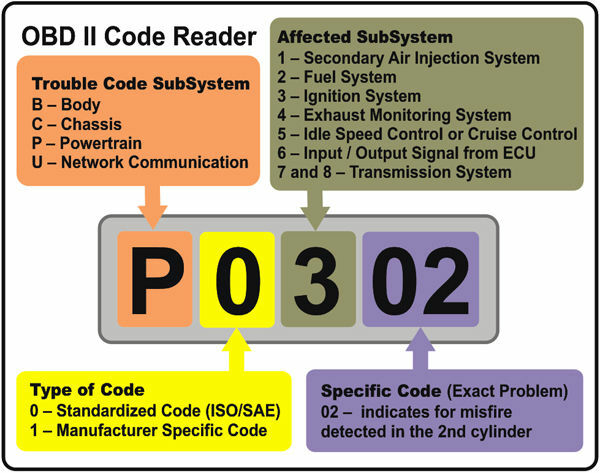 Fault codes also known as diagnostic trouble codes (DTCs) typically are made up of a letter followed by four numbers, so each code has a total of five characters. xxxXX – Refers to the actual component that the ECU has identified with a fault. • The first character of the code is a letter designation to indicate the general subsystem that sets the code. In this case (P) indicate to powertrain. • The second numeric character (0) shows that this is a generic (SAE or ISO) code. • The third numeric character denotes the subsystem affected. In this case, (3) indicates an ignition system misfire. Shalaka’s Computer Vision and Augmented Reality solution is a combination of software framework and engineering services. The software framework is optimized for embedded hardware that helps implement a wide range of in-car Advanced Driver Assistance Systems (ADAS) and autonomous driving functionality quickly and cost-efficiently. Incorporating artificial intelligence, pattern recognition, image processing, real-time signal processing and more, the feature-rich and robust solution encompasses augmented navigation, advanced parking assistance and adaptive cruise control, driver infographics and lane keeping, driver health monitoring, support of low visibility mode and autonomous driving. The framework augments drivers’ visual reality with supplementary objects in real time, and works with various output devices such as head unit displays, digital clusters, head-up and optical head-mounted displays. Quality is critical in the automotive sector; therefore, Shalaka is committed to quality. Shalaka uses and applies the Automotive Process Assessment Model for software process capabilities. We have an independent test team and test laboratories where we conduct our research and perform the manual and automated testing for every module, system, and solution we develop for our partners. Shalaka also tests products developed by our partners. The testing of the third-party automotive technology algorithms, modules, and systems is one of the most valuable elements of Shalaka’s services for the automotive sector. Performance testing and hardware/software optimization are standard validation services, along with the design and development of background diagnostics and runtime modules such as POST. Shalaka provides premium vehicle hardware support and testing for our hardware designs. Shalaka has established comprehensive, automated test standards for most vehicle platforms and technologies and our test laboratories are equipped with the most advanced optimizers, CAN simulators, Bluetooth sniffers, signal analyzers and other test units required for successful testing of complex automotive solutions. It is our investment in the safety and quality of automotive technologies.